This coming Wednesday, August 28, marks a momentous anniversary in American history. It is the 50th Anniversary of the March on Washington for Jobs and Freedom that was highlighted by Rev. 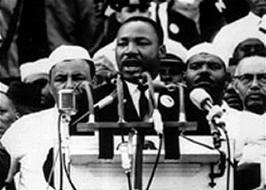 Martin Luther King, Jr.’s “I Have a Dream” speech. 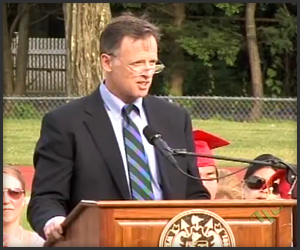 The speech is known for its soaring rhetoric and piercing, prophetic call for equality and justice for all. The concluding portion of the speech has become part of our civic liturgy, alongside the Star Spangled Banner and the Gettysburg Address. As a great piece of liturgy, Dr. King turned to three key elements: 1) history; 2) recognition of an Eternal God of all; and 3) an appeal to social justice. Rabbi David Golinkin, a leader of the Conservative/Masorti movement in Israel suggests that if we look closely at this passage, Parashat Bikkurim, we find that it contains three of Judaism’s most core values: 1) History, or remembering and connecting with events of our past 2) Gratitude to God for the blessings in our lives and 3) Concern for the weak and less fortunate. Let’s look at each part more carefully. Personal identification with the history of our people is found in verses 3-10, including the text recited in the Temple and the portion of that text that made its way into the Haggadah. The text is couched in the first person singular or plural. The reciters thereby expressed their complete identification with events which had occurred hundreds or even thousands of years before their time, just as we recite in the Haggadah every year: “In every generation a person must consider himself as if he had personally gone forth from Egypt.” The mitzvah of Zakhor, Rememberance, is an essential one in our tradition, which we can all relate to. By identifying personally with events of our past, we can work to ensure that dark chapters in our history are not repeated. Our Torah portion’s call to us to internalize our history may at times seem ominous, particularly when recalling slavery, whether in Egypt or the American South. Therefore, this message is tempered by the call to express gratitude for the blessings in our lives. In the Bikkurim prayer, the theme of gratitude is emphasized through the repetition of the verb “natan” “gave.” Six times this word appears in our portion, reminding us that God gives the gift of first fruits and other blessings, which requires the people to thank him anew every year. As Dr. King was building towards his climactic conclusion, he said, “I have a dream that one day every valley shall be exalted, and every hill and mountain shall be made low, the rough places will be made plain, and the crooked places will be made straight; “and the glory of the Lord shall be revealed and all flesh shall see it together.”2 He was quoting one of Isaiah’s messages of consolation, the section we read in synagogue in the weeks leading up to Rosh HaShanah. Like in the Bikkurim prayer, King reminded us that God is a force for sustenance and good. By taking stock of our own past misfortunes as well as the blessings in our lives, the Bikkurim passage then reminds us of the next step, which is to improve the lot of those around us who less fortunate. Concern for the weak is found in verse 11. The text reads, “You and the Levite and the stranger shall enjoy all the bounty which the Lord your God has bestowed upon you.” In other words, the Israelite farmer must share his harvest with the strangers in the Land. Indeed, this message repeats itself many times in the Torah where we are instructed to leave gleanings (leket) and the corner of the field (pe’ah) and forgotten sheaves (shikheha) “to the poor, the stranger, the widow and the orphan” so that we should remember that we too were once strangers in Egypt. Jewish tradition carries the themes of the Bikkurim prayer into the most solemn prayer of the upcoming penitential season, “Un’tane Tokef,” recited on Rosh HaShanah and Yom Kippur. We declare: U’teshuvah, u’tefillah u’tzedakah maavirin et roa ha-gezeira, Repentance, Prayer and Righteousness avert the severity of the decree.” Through repentance, we take account of our history and make an effort to change our ways. Through prayer, we not only express hope for a better future, but give thanks to God for the blessings of Creation. Through acts of righteousness and loving kindness we maintain Judaism’s longtime concern for the weak and downtrodden. As the High Holiday season approaches, may we be inspired by our Torah and our liturgy to examine our past, give thanks for the gifts God has given us and promote justice for all.